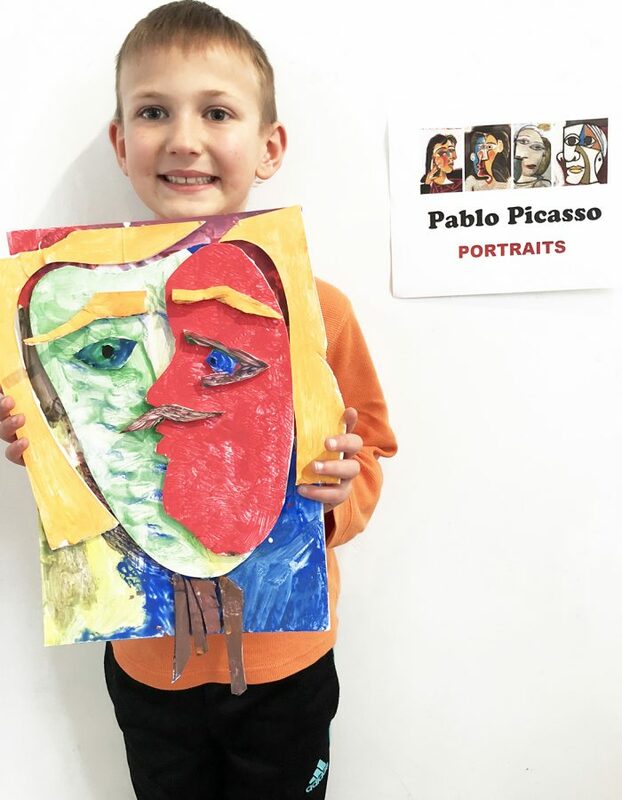 The human figure was Pablo Picasso’s prime subject, and portraiture always occupied an important place in his art. 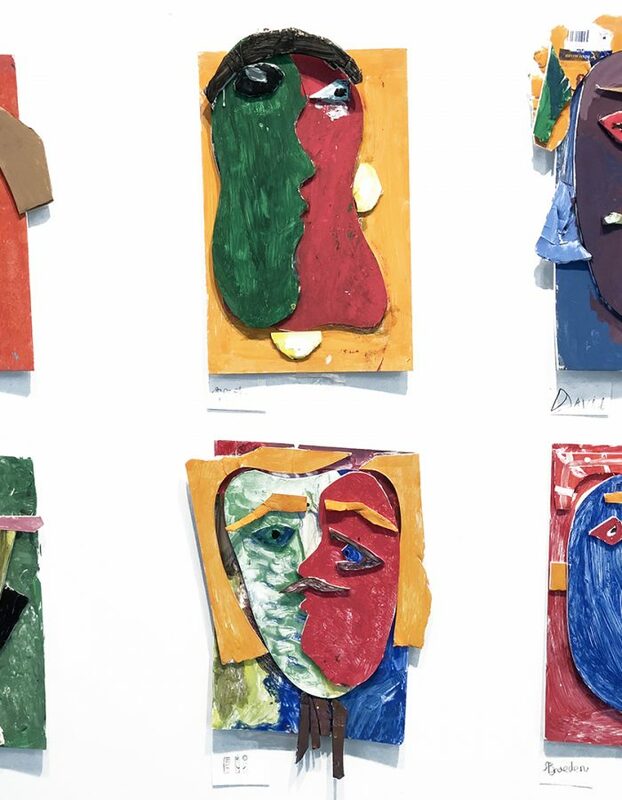 The Spanish artist – who pioneered the art form of cubism – interpreted his subjects according to his vision and understanding of them, choosing the style and medium he deemed most expressive or appropriate on that particular occasion. 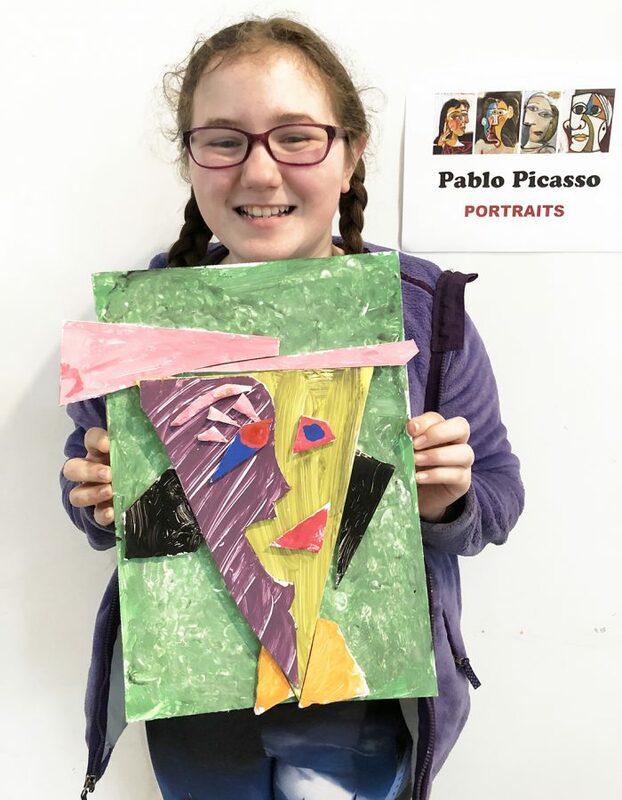 Caricature was a favorite activity, with many of his painted portraits involving simplifications and distortions typical of the genre. 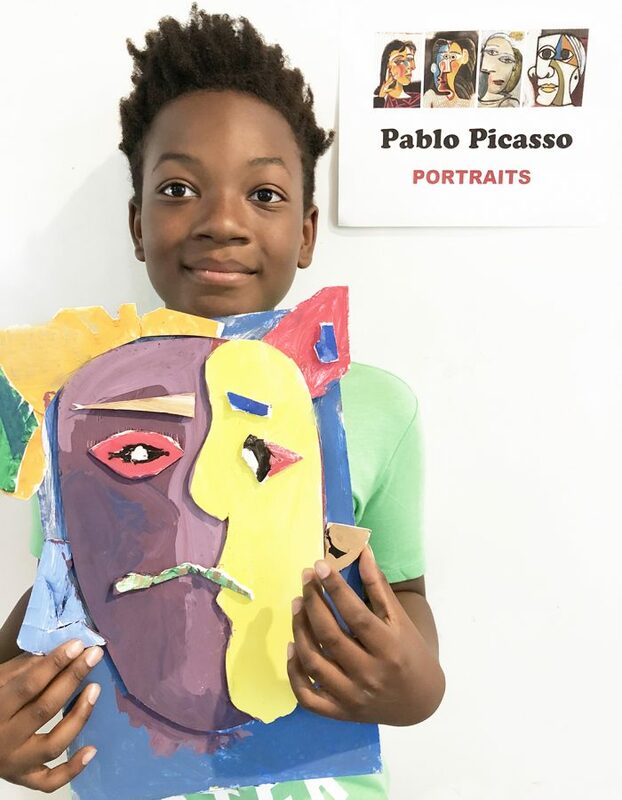 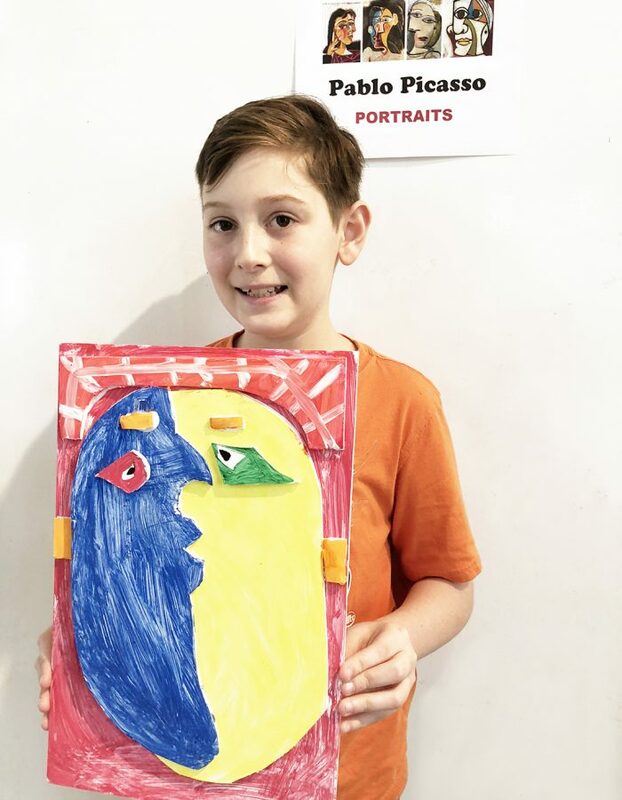 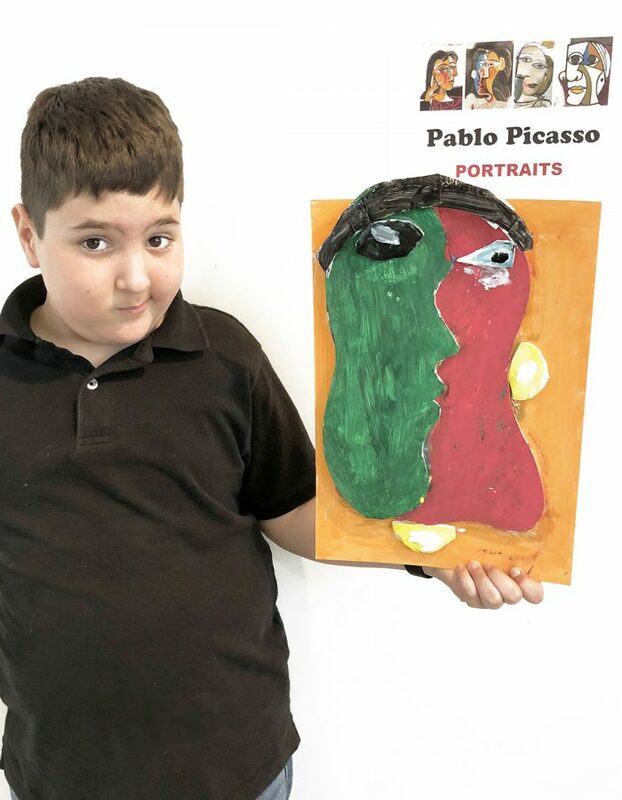 Honoring Picasso’s artistic style, the 1st-5th grade students created their own portraits in Mr. Jordan’s art class. 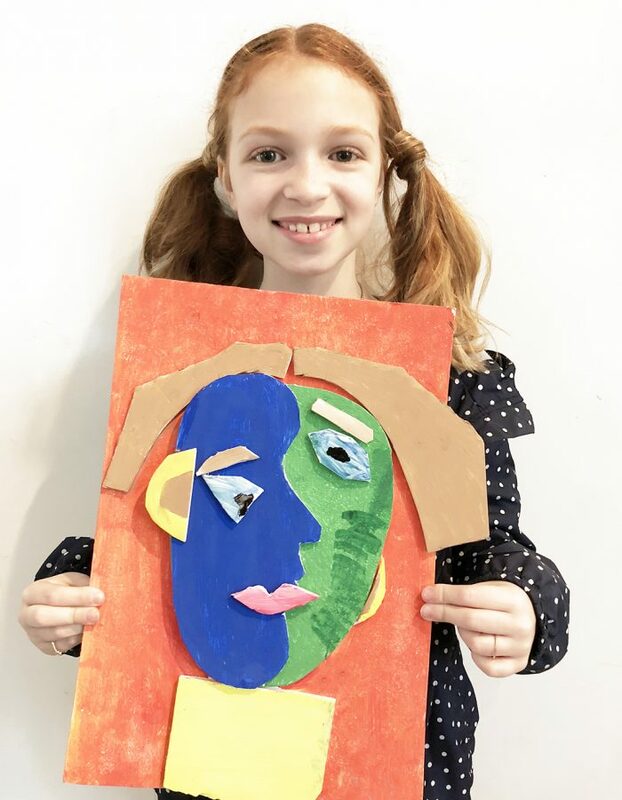 The 3rd through 5th graders made three-dimensional forms, whereas the 1st & 2nd grade students used pastels. 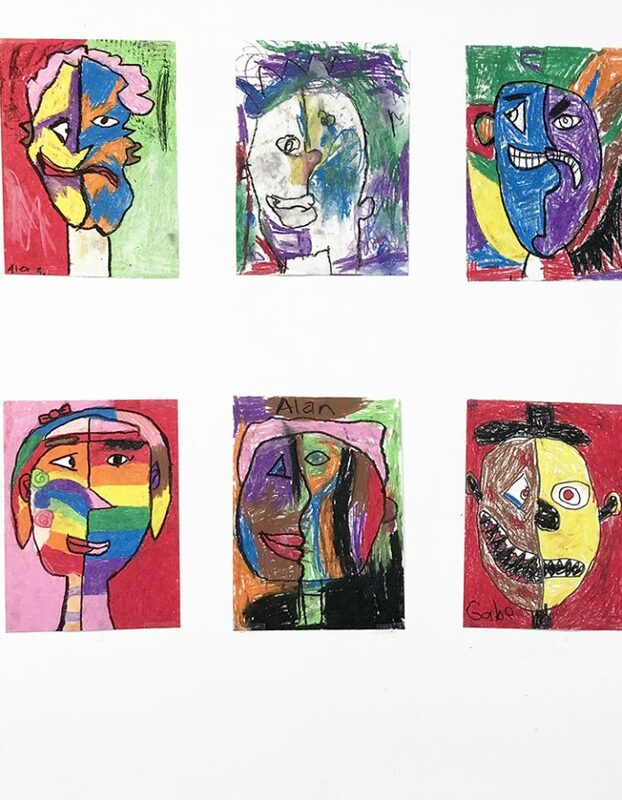 These colorful creations surely capture each child’s unique personality!